Waterfall Info: This is the primary waterfall on Dodd Creek. This very popular waterfall is unique in how it drops through a slot amongst big cliffs. 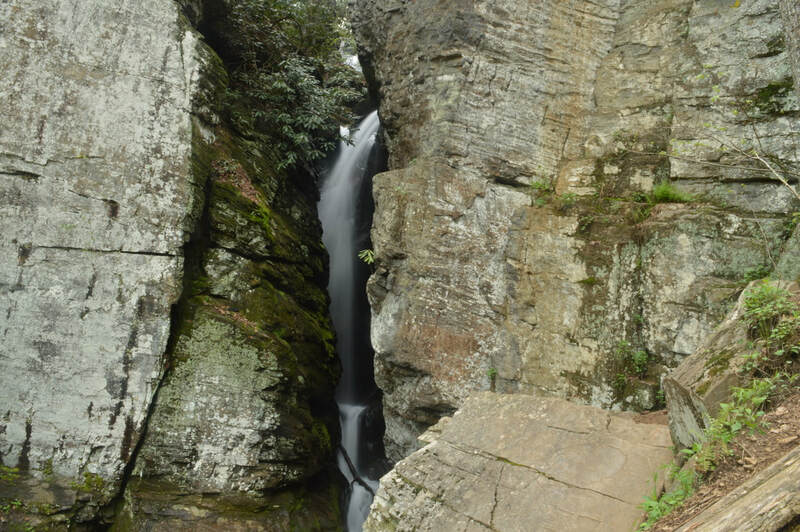 Access Info: This waterfall is located at the terminus of the moderate 2.5-mile Raven Cliff Falls Trail.